The Calgary Police Service Pipe Band is made up of dedicated volunteers who come from both the sworn ranks of the service (active and retired) along with civilians. These dedicated volunteers donate hours each week to practice and perform. The band performs with the permission of it’s Colonel-in-Chief, Steve Barlow. 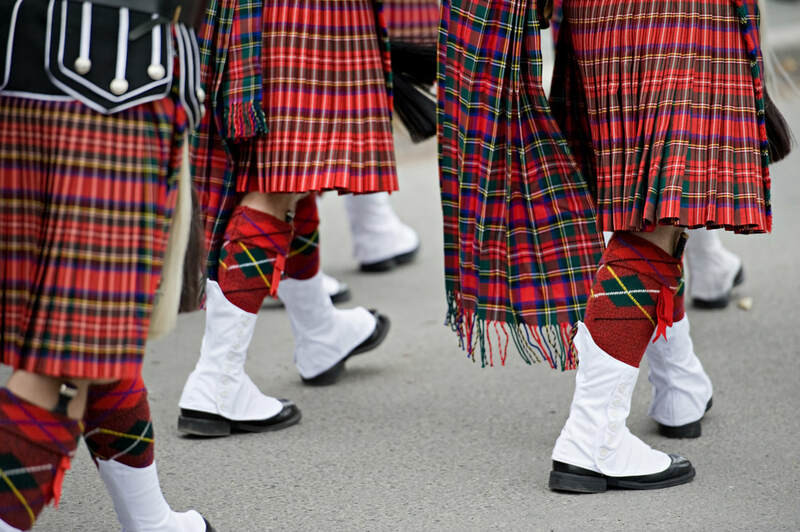 ​The Pipe Band wears the Prince Charles Edward Stuart tartan and the regimental march is “The Calgary City Police Pipe Band”. It was composed by the founder and first Pipe Major, Bill Crabbe. ​The Calgary Police Service Pipe Band strives to be the premier show and competition Pipe Band in Canada while representing the Calgary Police Service and the City of Calgary. ​The Calgary Police Service Pipe Band serves as a good-will ambassador for the Calgary Police Service and the City of Calgary. We encourage and enjoy the fellowship of those who share our commitment to the band. The Memorial Banner is carried by the Pipe Major and displays the CPS crest along with the names of the Calgary Police Officers who have lost their lives in the line of duty. The Centennial Banner is carried by the Pipe Sergeant and is a replica of the Calgary Police Service flag and commemorates the 100th anniversary of the Calgary Police Service. The Chief Constable’s Banner is carried by the Pipe Corporal and displays the Chief Constable’s coat of arms. It is always carried when the Chief Constable or designate accompanies the band. The First Leaders Banner is carried by the most junior member of the pipe corps and displays the names and regimental numbers of the Band’s first Pipe Major (Bill Crabbe) and first Drum Major (Bill young). This banner salutes the dedication and service of these first leaders of the band.